What a wonderful time to be alive. Recent advancements in the fields of basic hygiene, sanitation, and medicine means that survival past the age of 10 is very common, but that isn't jack in comparison to the incredible level of automobile you can get for a small price. 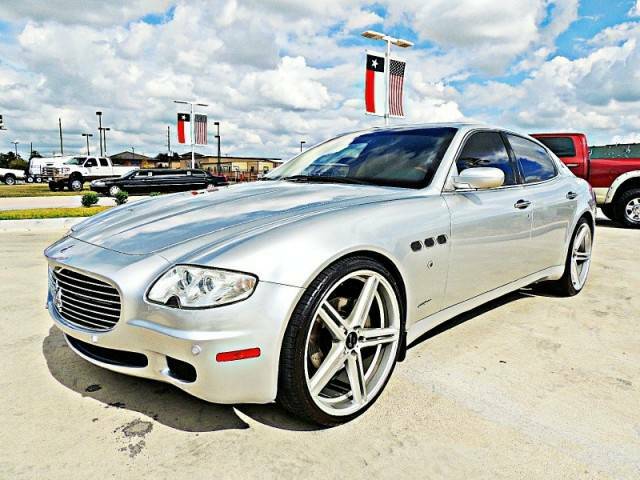 Find this 2005 Maserati Quattroporte offered for $17,900 in Houston, TX via craigslist. Tip from Jeff. Somebody paid over $105k for this car before it left the dealers lot and was subject to all kinds of luxury taxes, sales taxes, and various fees. I don't have the original sales sheet, but I'd bet one of those giant 22 inch wheels that the total taxes & fees were more than the asking price of the car today. If you had won this thing as the grand prize on The Price Is Right, you'd have to pay more taxes than the asking price today. For just under eighteen large this 4250 lb sport sedan goes from zero to sixty in about 5 seconds with a fabulous noises of the 4.2 liter V8 under the hood. The 394 horsepower and 333 ft-lbs of torque conspire with a 6-speed automated manual (SMG) to propel this silver beauty to a 171 mph top speed. Try and find another car that offers the same level of speed/exclusivity/repair-pucker-factor. I seriously love these but the frequent clutch replacement costs always deter me. Has anyone ever seen a Quattroporte with a good old fashioned true manual gearbox swapped from an earlier Spyder? I'm not suggesting that I would try such a swap as it looks to be virtually impossible. I'm just curious if anyone has ever accomplished it. Alternatively, if your beef is with the clutch, just get the later version with a true automatic....probably better suited for this particular car. 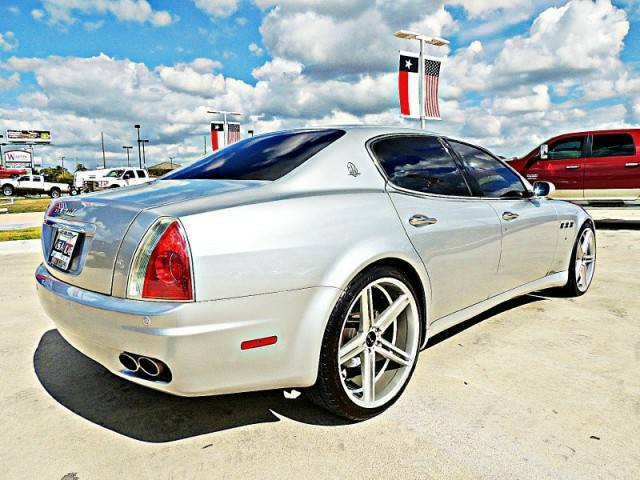 Previously owned by Mike Jones, Who? Seriously though one of the best sounding engines with a muffler delete. I have no doubt this car will implode soon. 1) I don't recall seeing a car with a massive handbrake and such a tiny shifter.